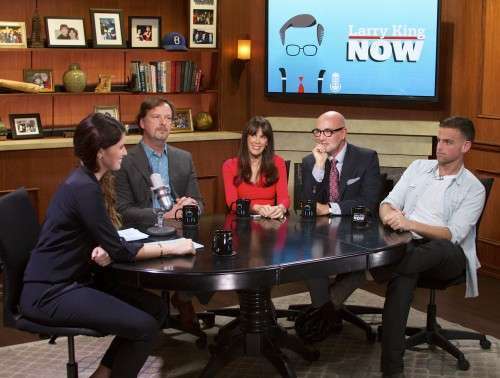 It was a joy and pleasure to be a guest on Larry King Now, with guest host Katherine Schwarzenegger on the topic of mobile dating, Tinder, online dating, and dating in the Digital Age. In the full segment, “Swipe Right: Dating in the Digital Age,” I was joined by Grant Langston from eHarmony, Psychologist Rob Weiss, and Johnny Drubel. For more online dating tips, follow @JulieSpira on Twitter, join #DateChat on Thursdays at 5p/PT, 8p/ET and sign up for the free Weekly Flirt newsletter. For help with your online dating journey, check out Irresistible Profiles to help you find your dream date and Swiping Right to make the most of your Tinder and mobile dating life. This Valentine’s Day falls on a long holiday weekend and comes complete with a full moon, so if you’re thinking about leaning in for that first kiss, don’t be shy. A full moon can bring out the romance just about any time of the year. We’re back with our Valentine’s Survival guide, complete with social media etiquette, fun date ideas, and are proud to share out latest interview in the New York Times about Tinder and mobile dating apps to ramp up your search to find that perfect Valentine. With out further digital ado, here are some of our articles and dating tips to bring the love back in your life, or at least make sure that you’re not hiding under the covers on a holiday weekend. From riding the Ferris Wheel to a scavenger hunt, find out why in-room-dining at home can be one of the most romantic ways to celebrate Valentine’s Day, regardless of your relationship status. 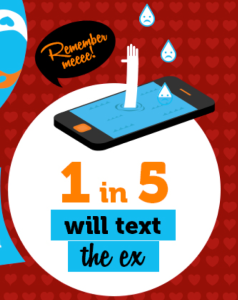 Would You Text an Ex on Valentine’s Day? 20% Said Yes! Being single on Valentine’s isn’t the end of the world. 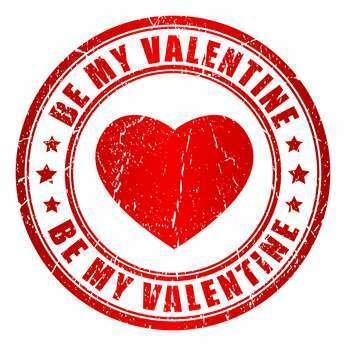 Sure you go into stores and see nothing but boxes of red candy and roses throughout the grocery stores, but a new survey from U.K. online dating site Smooch.com shows that only 10% of the 2000 singles polled actually love Valentine’s Day. Are the other 90% pretending to go along with the program? From Twitter to Facebook, Pinterest to Instagram, find out what to post, or not to post on your favorite social networks. DON’T: Tag your new boyfriend on Facebook. Chances are he hasn’t told his buddies and work pals about his Valentine’s plans. DON’T: Post your Happy Valentine’s message on your date’s wall. Saying you can’t wait until the evening together should remain private. Remember, a simple post may be innocent. However your friends might wonder what kind of wild night the two of you will be having. Or worse yet, his ex-girlfriend might start posting inappropriate comments to ruin your evening. DO: Send a digital gift, such as his or her favorite band on iTunes, an e-card, or a redeemable gift card to a store or restaurant. DON’T: Send a musical montage of ‘I Love You’ songs if you haven’t said those three little words yet. DO: Ask for permission before you post anything online. Remember you’re creating a permanent digital footprint and your status and photos can be shared, even by people you don’t know. DON’T: Overshare. Remember, many of your friends are single and may not be enjoying the day. DO: Make an exciting announcement. If you become engaged on Valentine’s Day, your friends will want to know. DON’T: Change your Facebook relationship status to ‘In a Relationship’ until both of you have had the talk and agree to be on the same digital page. Do you have any social media rules for Valentine’s Day? Wishing you much love and joy in cyberspace, or wherever you may roam this Valentine’s. Follow @JulieSpira on Twitter and join us for #DateChat on Thursdays at 5pm/PT on Twitter. Did you miss the radio broadcast with Online Dating Expert Julie Spira and WGN radio’s Bill Leff. In an hour-long segment, we covered the dos and don’ts for cyberdating, the pros and cons of doing a Google search on your date, and how to spot fake online dating profiles. Learn more about dating in a web 2.0 world. Julie Spira is a top online dating expert and founder of CyberDatingExpert.com. She’s the bestselling author of The Perils of Cyber-Dating and creates irresistible profiles for singles on the dating scene. For more dating advice, sign up for the free Weekly Flirt newsletter. Online dating sites are booming in anticipation of the New Year and for those who are still hopeful that they might find a last minute date to toast to at midnight. Perhaps it’s time to re-evaluate how you approach Internet dating, so you’ll have a better experience and can become the next success story in the Cyber Love Story of the Week. As good as your intentions are while making your list, like many New Year’s resolutions, after a few weeks you typically lose momentum and dieting and dating patterns will start to diminish. You’ll probably end up spending more time checking your friends? facebook activity then focusing on logging on to Match, eHarmony, or OkCupid. Finding love online ends up moving down on your list of daily activities. When you decide it’s time to make finding love a priority, here are some dating resolutions we think you’ll be able to keep. 1. Sign up for 1-2 online dating sites. If you’re already on a mainstream site, why not take your profile and associated photos and post them on a niche site that focuses on some of your passions? Remember to change the primary photo, screen name and the order of the paragraphs on your profile so it isn’t a complete copy-cat. 2. Sign on daily to read emails and see who the site matches you up with. ?We know you’re logging onto Facebook for 45 minutes to one hour a day, so why not carve out some of that time to devote to your dating sites? If your inbox is empty, go ahead and see who the site has matched you up with, or notice who has viewed your profile and winked or flirted with you. Another benefit: Some people search specifically for those online, or who had signed on within the last 24 hours to 3 days. You’ll be found much easier in the crowded digital playing field. 3. Write to 5 people a day. Does the squeaky wheel get the digital love deal? We think so. Depending on your age and the site, often ten outbound emails might result in only one response. Try to find at least five people every day that you think you’d connect with, or at least enjoy their company. After all, online dating is a numbers game. 4. Refresh your profile weekly. ?Active Facebook users often upload a new photo every few days. Why not find one of your favorite shots and add it to your dating profile to keep it fresh? Take it a step further and post a new event that you’re excited to be attending. Otherwise, your profile will become stale. Looking for a date to go to a hockey game? Mention it in your profile and see the responses you’ll get. Still stumped? Change the order of your sentences and you’ll be more likely to show up higher in a search. 5. Reach out and reconnect. Did you get too busy during the year with day-to-day activities or did your relationship recently run it’s course? Perhaps you missed out on meeting someone you started to communicate with online.? Take a look in your Inbox and see if he or she still has an active online dating profile. Reach out and send an email with a simple, ?Happy New Year” as a digital ice-breaker If their profile is still online, assume they haven?t met ?the one? yet. It may be a time for a new beginning for both of you. Remember, the period from New Year’s through Valentine’s Day is when singles will either join an online dating site for the first time, or renew their memberships. 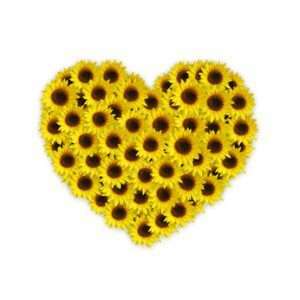 Most sites have an increase in membership by an average of 10% or more from now through Valentine?s Day. It?s peak season in the dating world. You need to play to win, or in this case, log on to find love. If you need some extra handholding, I will work with you privately to create an irresistible online dating profile, complete with a catchy screen name so you can stand out in the crowded digital playing field. 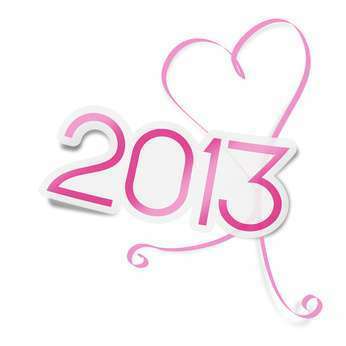 Let’s make 2013 the year to fall in love online. Julie Spira is a top online dating expert and the author of The Perils of Cyber-Dating. For more online dating tips and advice, sign up for the Weekly Flirt,? follow Julie on Twitter @Julie Spira and at Facebook.com/CyberDatingExpert. In case you haven’t noticed it yet, the change of seasons brings a new beginning for many singles looking for love online. There’s an abundance of men and women who have spring fever and are hoping to connect with you. Whether your relationship recently ended, are newly divorced, or have taken a break from dating, we’re here to help you with your digital search. These lucky seven tips will speed the process so you won’t be wasting your time with Mr. or Ms. Wrong this spring. 1. ?Be open to all of the possibilities. With the change of seasons comes a new attitude, both online and offline.? Outdoor cafes are filled with patrons again. Convertible tops are down, and it?s time to tune up your flirting techniques and jump back on the online dating saddle. 2. Dress it up. Appearance counts online and offline. After all, isn?t it your goal to turn that online romance into an offline relationship? Spend an afternoon spring-cleaning session in your very own closet. Recycle a dress or outfit in your closet and make it your first date outfit. 3. ?Sensual Scent. Try a fresh new perfume or cologne to wear on your first online date. Hopefully your date won?t be allergic and will find your new scent appealing enough to put a second date on the calendar. 4. Going Mobile! Why wait to go home to meet your dream date? Download a mobile dating app and respond to your date’s email while it’s still fresh in your inbox. Here’s the Mobile Dating Expert’s?list with some of our favorites. 5.?Turn on your webcam. Many online dating sites now offer webcam or video chat as part of their features. Go ahead and put on your lipstick and comb your hair. Remember to smile. It?s show time. By using video chat, your potential honey will know it?s the real you and not your younger sister. This will prevent that disappointing look one receives when the photos of their online dates don?t match up in real life. 6. Renew and Refresh. If you?ve let your online dating account expire, go ahead and renew your membership. Refresh your profile with new photos and a new catchy screen name. Need a little help? Check out IRRESISTIBLE profiles, and we?ll help you in your quest to find love online. 7. ?It?s a numbers game. We know that online dating can be a lot of work and is time consuming. So is finding your dream job and working out at the gym. Allocate an hour a day every day to your online dating site. Respond to, or write to at least 5 online profiles every day for one week and see what happens. Check out who?s viewed your profile or added you to their favorites or hot lists and send them an email. Initiate the conversation and you may find someone who will be so flattered to hear from you. If you are lucky in love and meet the one online, let us know. We may feature you in the Cyber Love Story of the Week. Do Internet Daters Suffer from Online Dating Fatigue? Lately, I?ve been questioning whether singles who are members of online dating sites really want to meet someone and create a real relationship that goes from online to offline, or just spend time hanging out in cyberspace. ?It appears that many daters are suffering from a relationship syndrome called ODF, the acronym for online dating fatigue. It can also be defined as IDF, Internet dating fatigue. While I might sound like eHarmony?s founder Neil Clark Warren, who wrote an article on Huffington Post,?On Second Thought, Don?t Get Married,?where I’m telling online daters that they might need to take a break as well, there’s some truth to ODF. ?In Warren’s article, ?he questioned whether marriage has become obsolete. The article is still being talked about and was shared by over 4000 people on Facebook and Twitter and ?liked? by over 13,000 people. Something to ponder. As an online dating expert and coach, I?m not suggesting you should abandon online dating completely, but instead consider taking a break and return refreshed, along with a new set of rules and digital tools that might increase your chances of success. Just as athletes get muscle fatigue, daters do get online dating fatigue. In my coaching practice, I meet singles and divorcee’s who are already fed up with the process. ?There are several reasons why I believe they?re suffering from ODF, and am here to provide some suggestions and online dating tips that just might wake you up from the exhausting process. 1. You?re tired of logging on and coming up empty handed. You go to the gym three times a week, meet your friends for drinks twice a week, and spend an hour a day logging on to your online dating account to view photos of eligible singles. You hand pick 10 men or women to write to and take the time to personalize the subject line.? The result is, no one ever writes back.? You don?t know why they weren?t interested, wondered if they had an inactive profile where they couldn’t read your email, or were testing the waters with a few others and would consider you for the future. You diligently send emails more often-than-not, and still wake up to an empty inbox. It?s discouraging, I know. You feel like it?s a chore. ?2. You?re tired of trying to create interesting introduction emails. You know you?re smart, witty, and have that great sense of humor everyone advertises that they?re looking for. ?Yet, you find it hard to write an introduction email that will be catchy and stand out. You didn?t grow up wanting to be a copywriter, so your personality doesn?t shine. As a result, you spend less time logging on. ?Finding a date or a mate goes down a notch or two on the totem pole. 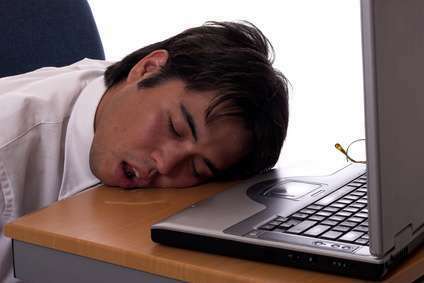 You?ve worked hard all day at work. You really don?t want to work that hard when you get home. The end result is, you lose interest. You?re suffering from ODF. Take for example *Mike (name changed), who has been sending the same 770 word count email about himself for four years to women promising a lifetime of happiness. He wrote a novel with over 50 sentences to introduce himself. Chances are Mike never reads the profiles of the pretty faces he views. He diligently copies the same email daily and sends it cold to women with a shotgun approach. His subject line is empty and says, (none). Sure online dating is a numbers game, but if you aren?t an educated player, your email may end up deleted by the third sentence. I finally had to tell him, ?Copy + paste = erase? and suggested that he leave the novel at home. He didn’t appreciate my constructive criticism and is still single to this day. If anyone has ever suggested that you might be too picky, chances are, they?re right. Your list may be so long on your profile, that it discourages would-be suitors to find someone more easy-going. If your search parameters are too narrow, it?s rare that you?ll find a compatible partner, online or offline. Take *Janie for example. She?s a vivacious woman with a lot to offer a man. 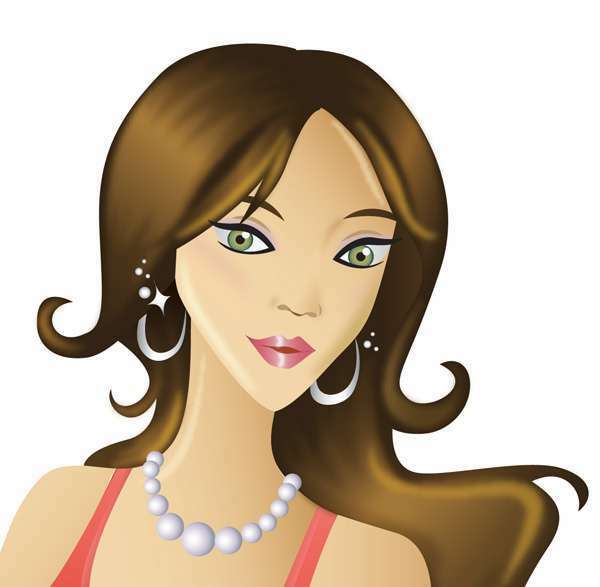 She has a successful career, beautiful home, loves to cook, and really wanted to fall in love. She came to me as a last resort, having been single for a decade. I looked at her profile and her search requirements were so limiting. She only wanted to meet a man who lived within a five-mile radius of where she resided. Her age parameters only spanned five years. It was an impossible task with unrealistic expectations. She didn?t realize it, but she was too picky. We broadened her search to 40 miles and expanded her age range to 12-years, 6 older and 6 younger than herself. She?s now dating someone age-appropriate who lives a town away. Are you too picky?? If so, it?s time to cast a wider net. You wouldn?t send a resume looking for your dream job without an email and phone contact for the recruiter to call you for the job interview, so you shouldn?t be so difficult to reach to set up a date. Take *Bill, a handsome and successful man as an example. He always makes a good first impression in his introductory emails. He sends the women his phone number along with a message telling them that he?s only available to speak at 12pm and 9pm. ?Most people have busy lives, both personally and professionally.? So if a woman called Bill outside of those two limited time slots, they?d not only get his voicemail, but he also had ?call intercept? on his line requesting that you announce yourself before he?d pick up the call. Pre-screening your date?s inbound phone call is a netiquette no-no. Of course most of the women hung up. Bill?s still single. A little more flexibility and removing call intercept on his phone to make time for love might help with his search. If you want to get on his or her date card, you need to move the process along from the initial email and find the time to put a real date on the calendar. 5.?You?ve gone on too many first dates. You thought the first date went well. They laughed at your jokes and said they?d like to see you again. ?You spent precious resources of time and money on the dating process with no return on your investment. Yes, dating can be expensive, but you don?t need to dine at the Four Seasons to impress someone. These days, it?s not unhip to use a deal-of-the-day?coupon?or Groupon for a dating idea, providing you?re not only asking for two-for-one yogurt at $4.99. The result is, you?re wallet is now thin and you still find yourself alone on date night. You get frustrated with the process and end up with ODF. If any of these five scenarios sound familiar, you?re not alone. Online dating fatigue is very real. 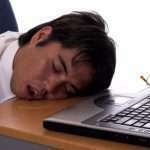 Sometimes you need to take a break, other times you need to fine tune your profile or change your parameters and habits. At the end of the digital day, there are over 120 million singles in the world looking for love online. Not everyone suffers from online dating fatigue. Thinking about expanding your zip code or dusting off your passport while looking for love online? I can tell you from first-hand experience that you need to cast a wide net and brush up on your technology skills.? Mobile phone use and high speed Internet makes it so much easier than in the pre-Internet days where you spent a fortune in long-distance bills and time buying Hallmark cards. Now, a cute e-card, Skype, twitter, and facebook along with your smartphone should keep you digitally connected and happily-in-love. In a recent interview in the Times-Union, A Modern Twist on Long-Distance Love, I talked about the use of Skype and texting to keep you connected to your loved ones. Julie Spira, author of The Perils of Cyber Dating says many people look at technology to enhance relationships. Whether you use Skype, iChat or text, technology makes it virtually impossible to be disconnected from the world. Spira said people must still invest in the relationship, and that relationships held together over distance are big commitments. Spira advises women to even put on that cute dress and lipstick, the same as they would do face to face. But Spira cautions that relationships starting out as long distance have a longer honeymoon stage. Sometimes long-distance relationships give the false illusion you are in a long-distance relationship, but it is a vacation relationship, Spira said. Time is so concentrated you only know vacation mode; it is a romantic fantasy. Spira said in vacation relationships, you often only see each other for a short period of time, so you usually stay at nice hotels, eat at expensive restaurants and leave the real world behind. You don’t talk about issues real couples face, like talking about paying bills and mold in the house, Spira said. Vacation couples often have trouble making the transition into real relationships when they move to the same city or household. If you feel you’re in a vacation relationship, Spira said to incorporate regular life into the relationship, find boundaries and how to manage them. Try and focus on reality and not just romance. Are you involved in a long-distance relationship? Are you using video chat on facebook or skype as part of your digital dating regime? Your comments are always welcome and if you get a moment, follow me for dating advice on Twitter @JulieSpira, on facebook.com/CyberDatingExpert and on Google+. I’m a believer in authenticity when it comes to dating. That means I believe you should tell your correct age, post recent photos, and be recognizable when you meet your date in person. I also believe you should ration your information flow early on, so I find it disheartening to see dates with promise quickly end with no chance of a second date ever being put on the calendar. Where am I going with this? Quite simply, you need to be prepared for your date. Before you leave the house, think about what you should and what you shouldn’t talk about. Think about what you’d tell a perspective boss to land your dream job, and what personal information shouldn’t make it to the interview. So without further digital ado, here are some dating tips and conversation topics to tell, and those that should quietly go to sleep with you at night alone. The ex-factor – Too much talk about your relationship history. The crazy ex-factor – Yes, every ex-wife or husband and ex-girlfriend or boyfriend were crazy. Can you elaborate? Please don’t. Your divorce – Leave that to the attorneys. Your date isn’t your legal counsel. Your therapist – We won’t give you sympathy on a first date, so leave your emotional problems for your next shrink session. How proud you are of your children. Don’t hide them from us. If you’re a great parent, we’d like to know. Where you grew up and who inspired you. Favorite vacation spots and cuisine. Favorite musical acts or concerts you’ve seen or books you’ve read. Now that you have the short list, I’ll share with you some details about a couple who met on a popular online dating site. Their first date fizzled out fast and made it to the Peril of the Week. For starters upon meeting, the gentleman proceeded to tell the lady she didn’t look like her photos at all. While that’s a common problem and one of the biggest fears a man has when he’s making a dinner reservation for a blind date, it quite simply wasn’t the case. Her photos posted to her online dating profile were recent and every other man she dated in the past few months had remarked about how much she looked exactly like her photos. Some even said she looked better than her pictures. This gentleman justified his comment and proceeded to tell her that he was formerly a professional photographer. He was an expert and he was quite certain that she didn’t look like her photos. He then proceeded to say that she was extremely photogenic, but in real life looked very plain. Are you laughing yet? He insulted an attractive woman who he was actually interested in by telling her she was plain.Flattery does go far, s0 why tell a woman on a first date that she looked like a plain Jane? It was simply insulting. Isn’t it better to say nothing and just enjoy the conversation? Then he went down memory lane about his past and told her how he did LSD at Woodstock in 1969. Did she really need to know about his drug habit from 40 years ago? No, not really. Was he putting his best foot forward? Not at all. Finally, he told her how crazy his ex-wife was and that she was bi-polar. As he started to talk about her manic-depression episodes, fortunately the alarm went off on her BlackBerry to let her know that the 2-hours in the parking meter had run out. She had 5 minutes to leave in order to avoid getting a parking ticket. She gracefully thanked him for dinner and received a text message the next day telling her he had a great time and wanted to get together again. Remember, it’s a first date, not a therapy session. You may be nervous. After a few drinks, you might feel comfortable revealing all, but you’re making a first impression on someone you might spend the rest of your life with. If you think you shouldn’t tell a prospective boss about your days of doing LSD and bi-polar spouse to land your dream job, then you shouldn’t do the same with a woman or man you’re interested in dating. Julie Spira is the bestselling author of The Perils of Cyber-Dating: Confessions of a Hopeful Romantic Looking for Love Online. Visit her at CyberDatingExpert.com for dating advice and to learn how to create an irresistible online dating profile. Whew! You made it through Valentine?s Day, or did you? If you?re single, you might have stayed home and pulled the sheets over your head until the clock struck midnight. Other singles that I heard from gathered together for the evening and sipped a few cocktails together and then went home alone. It was agonizing. It was painful. I know, you don?t want to have another Valentine?s Day alone, which is why you?re visiting this site right now. So, as the bearer of good news, we?re heading into March Madness and Spring Fever will be around the corner. What does this mean for singles? It means the holiday season from Thanksgiving through Valentine?s is thankfully over. The men who disappeared in the weeks leading to Valentine?s Day are resurfacing right now since the holiday pressure has subsided. So toss away your favorite red dress for a moment and let?s talk about some online dating tips to get your profile noticed and rise to the top. 1. Start from Scratch. If you still like your current site, you don?t need a makeover of your present profile. What you need is a brand new profile originating from a new and unique email address. If you?ve taken a break from online dating and are ready to jump back in, don?t refresh your existing profile. Retire it permanently and start from scratch. This way you?ll show up in a search as ?brand new? and you?ll be the fresh new face in the digital playing field. 2. Change Your Catchy Screen Name. Let?s face it. Your current screen name isn?t really that catchy is it? If so, you?d be riding into the sunset with someone right now. Think about a name that doesn?t describe you to your girlfriends. You?re writing to attract a quality man and he doesn?t want to hear about your shopping expeditions. While you may be a fashionista and will look great on a date, he?ll think you?ll be spending all of his money while gallivanting at the mall and won?t be spending time with him. Think about what you?d like to do together as a couple. What activities and interests will you have in common? Imagine spending them with your dream guy. Pick three different catchy screen names and rotate them on your profile headline. Don?t describe yourself as pretty or beautiful as you will seem shallow. Men are visual. They?ll notice how you look in your profile photos. You?ll know soon enough which names get the most attention. 3. Be Realistic. I?m not saying don?t be picky. Wanting a Renaissance man who makes $300,000 a year and will give you back massages and write you love notes all day long is not realistic. Whatever you have on your list, cut your list in half to show the absolutely most critical things you want in a partner. Our goal is to help you find love and a meaningful relationship. I know you can find it online and I?m here to help you do so. 4. Spend One Hour a Day Online. You say you?re too busy to spend one hour searching through profiles and finding quality men to date? If you can find time to go to the gym three times a week, meet your girlfriends for drinks, and attend business networking events, then you must allocate one hour a day to devote to your love life. I know you?re already logging onto Facebook up to an hour every day. 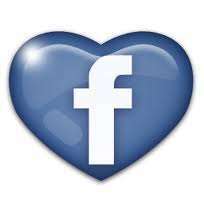 While you?re checking the latest status updates and commenting, cut that time down and visit your online dating site. 5. Two is Better Than One. Online dating is a numbers game. Fortunately, there are over 1500 sites to pick from. My suggestion is to sign up for one mainstream popular site that has a lot of active members and select a second niche site to post another profile. If you?re wondering what a niche site is, it?s one that focuses in on your hobbies or religious beliefs. There are sites for book lovers, vegetarians, pet lovers, and those with medical conditions. There truly is someone for everyone. Visit our Dating Community for some sites that I recommend. Make this spring your time to find the love that you truly are looking for. If you need personalized?help with your online dating profile, you’re not alone. Contact us to find out more about coaching programs at CyberDatingExpert.com/Irresistible Coaching. We’ll help you create an irresistible online dating profile to attract your dream date.